Presentation from academics was part of the schedule during the conference between elders and politicians from both regions. 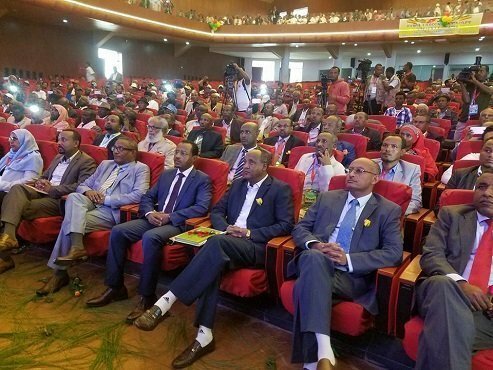 Based on reports by Addisu Kitessa Arega, Oromo Region Communication Bureau head, two academics had a presentation and made recommendations which they think will help promote Amhara-Oromo Unity. Just to give a brief background to this story for readers who are not familiar to the current Ethiopian situation, since the coming to power of the Tigray People’s Liberation Front in 1991, a politically motivated hate was manufactured to develop a sense of enmity between Amhara and Oromo. In fact, it caused sufferings and loss of hundreds of innocent lives -especially of Amharas who lived in Oromo region of Ethiopia for many generations. -Oromo was wrongly identified with the idea of secession but what defines Oromo is unity and togetherness. Mogassa and Gudifecha are good examples for that. Amhara people love Unity. Therefore, Amhara and Oromo have similar psychology. -19th and 20th centuries Amara and Oromo history were misrepresented and misinterpreted which created a gap in understanding history. -Amhara people were confused with Amhara ruling elites. -The unity of the two people is damaged by elite politics that is not based on the interaction of the two people. -The notion of ethnic based oppression a misconceptions.